Sympathique oiseau bien net et bien cadr�. I have many pictures of birds but I don't have even one descent picture of a Chaffinch. 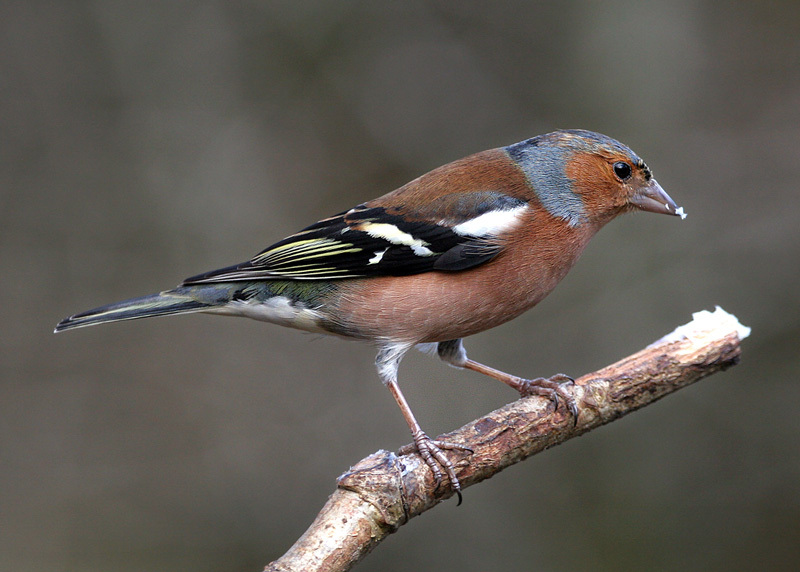 This shot of a male Chaffinch is an excellent start: Sharp with fine BG and good comp. Look forward to seeing more of your shots. Your first shared picture is simply great. All component of the shot is excellent: captured scene, composition, amazing colours, sharpness and details of the beautiful bird. DOF is great too: blurriness of the BG is perfect. My compliments and TFS. Superb start and welcome. c'est une excellente premiere photo,beaucoup de details et de tres bons details. Hi Welcome to TN..Great first post,nice pose&details are excellent!! Lovely well detailed shot and great composition to add to it. Beautiful Chaffinch. Lovely pose, colors, and details. Excellent capture of this Chaffinch, very sharp and with wonderful exposure and colours. Congrats 'cause this is a splendid first post. Well taken, sharp picture of this lovely finch. The white is a bit over-exposed. Perhaps you could remove it in Photoshop. Hi Bryan, what a truly fine shot of this Chaffinch! Welcome to TN. I love the depth of colour and composition of this shot. It is very sharp and a wonderful POV. Great, please post more! Very good portrait, nice colours and background. The bird is very sharp and composition is very nice. An excellent shot with nice colors and sharp details. Great BG that makes your bird stand out very nicely. TFS! Hi Bryan, Very Nice Shot clear and sharp. good color and background. So you got hooked! Welcome to the club! An excellent portrait of this chaffinch. What a beautiful bird with such a variety of colors. Sharpness and exposure are spot on, and the composition is just lovely. Looking forward to many more bird shots from you.